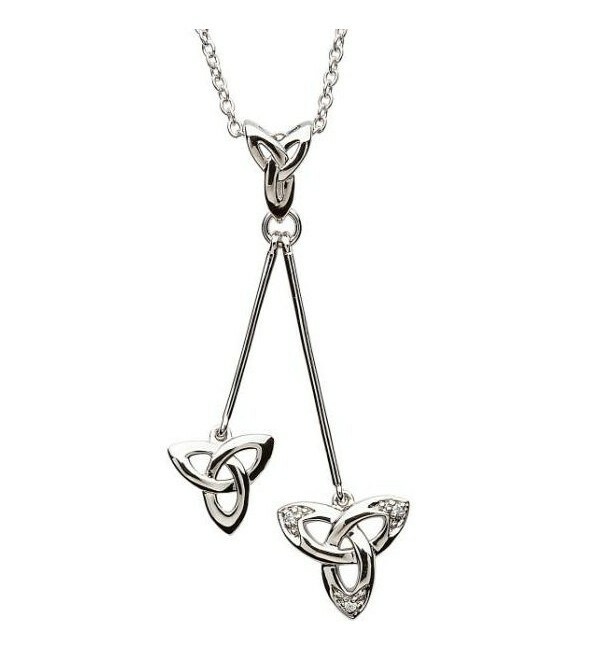 The Celtic Trinity Knot Dangle Pendant from ShanOre has a light and airy feel, and features two Trinity knots, including one with cubic zirconia details, suspended from a third knot of sterling silver. Includes 18-inch silver chain. 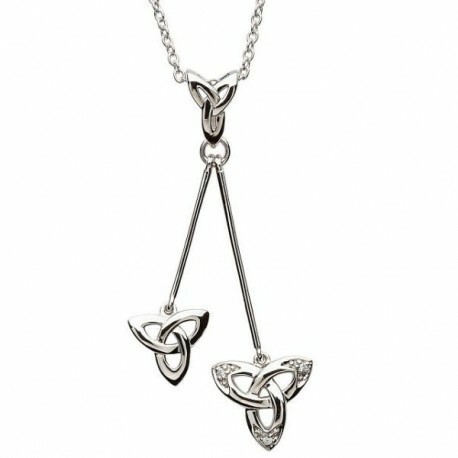 The Trinity knot holds special significance in Celtic culture. The three vesicae piscis, as the almond shapes are called, join together to form a single shape similar to a triangle. The symbol was used in Ancient Celtic times as decoration, and was adopted early on by the Christian faith as a symbol of the Holy Trinity. The three parts are also considered to be symbols representing Past, Present, and Future, or the loving commitment given during a wedding to Love, Honor and Protect a significant other.